We’ve been honoured by the glowing testimonials our clients have given us over the years. You can read a small selection of them below. We’re happy to show your more reviews or put you in touch with some of our clients if you’d like to speak with them personally. And of course we’d like to thank all our loyal customers for their lovely feedback because being described as “run like a well-oiled machine”, “incredibly consistent” or “a cut above the rest” is what gives us job satisfaction. "For the last five years Active Hygiene have maintained APPco’s female hygiene bins, air fresheners and toilet seat sanitisers in the ladies washrooms, and air fresheners, urinal sanitisers and urinal deep cleaning in the male bathrooms. They have performed this service with utter cleanliness and reliability. I recommend especially, the toilet seat sanitisers as this hygienic service gives peace of mind on matters of hygiene in a shared environment. The staff we have met from Active Hygiene are impeccable in delivery and customer service. I do not hesitate to highly recommend their service." "We have used the services of Active Hygiene for over 15 years. A very competent company to deal with, very friendly service crew and office staff. Thank you for all your work and we look forward to our continuing relationship into the future." "We have been using Active Hygiene for the last nine years and have been very impressed with your sanitary disposal units service. Your staff calls regularly and are always very polite and pleasant, the area serviced is always left clean. 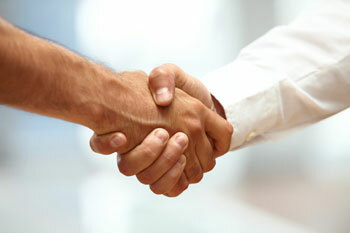 We will continue to use your service and would not hesitate to recommend you to other companies." "After bad experiences with our previous hygiene provider, we made a switch to Active Hygiene. We have never looked back. Always polite and very efficient, they run like a well-oiled machine. I highly recommend Active Hygiene if you require a high level of service and zero headaches." "Can I start by saying thank you. From the very first meeting, to date, I had a seamless and easy relationship with Active Hygiene. As well as being very competitive the service they provide is a cut above the rest. Having owned my business for four years, I have not once had a late pick up from Active Hygiene and any staff I have encountered in passing have been discreet, pleasant and very friendly. It is a credit to the management and team at Active Hygiene. Thank you again." "Active Hygiene has looked after our washroom hygiene for 12 years. In that time they have been incredibly consistent in the service they have provided and always happy to seek new alternatives as our needs have changed. I would highly recommend Active Hygiene as a hassle free professional company." "Active Hygiene has provided our washroom needs for six years. The service we receive from your company is exceptional. Our staff members appreciate walking into such a fresh washroom each day. Your team members are very professional and polite and we highly recommend your services." "Active Hygiene is an extremely professional and efficient sanitary disposal units service provider. The owner/proprietor of Active Hygiene Leon amazes me with his kindness and the proficient manner in which he remembers all details such as name, contract details, etc at the drop of a hat. Any time I call Leon he answers with clarity and the complete details of the contract are refreshed in his mind at the blink of an eye for a detailed discussion. All our properties managed by Active Hygiene have proved to be cost-effective and professionally managed. Active Hygiene uses high grade materials at an extremely competitive market price. I feel that once your account is managed by Active Hygiene you can rest assured you have the BEST Service. Thank you Leon for your on-going care and support. I am happy to recommend Active Hygiene Services to all commercial property managers.”"
"Active Hygiene Washroom Services have been providing us with all our washroom services. During this time we have found their services to be consistently professional. They are great to deal with and all their products are in immaculate condition at each and every service. I would have no hesitation in recommending their services to anyone. They have been by far the best washroom company we have ever dealt with." "I just wanted to send a quick email to say how wonderful your team members always are when they provide our regular washroom hygiene service. They are always so friendly, warm and happy. It is a credit to your team and management. We have been very impressed with your services ever since we began with Active Hygiene." To find out more about our washroom services, feminine hygiene bins or sanitary disposal units please contact us by phone or email.